A play by Christopher Isherwood and Don Bachardy. Listen to the play here on the website, or subscribe via iTunes. Two brothers confront each other in a monastery beside the Ganges. One plans to renounce the world, the other tries to stop him. 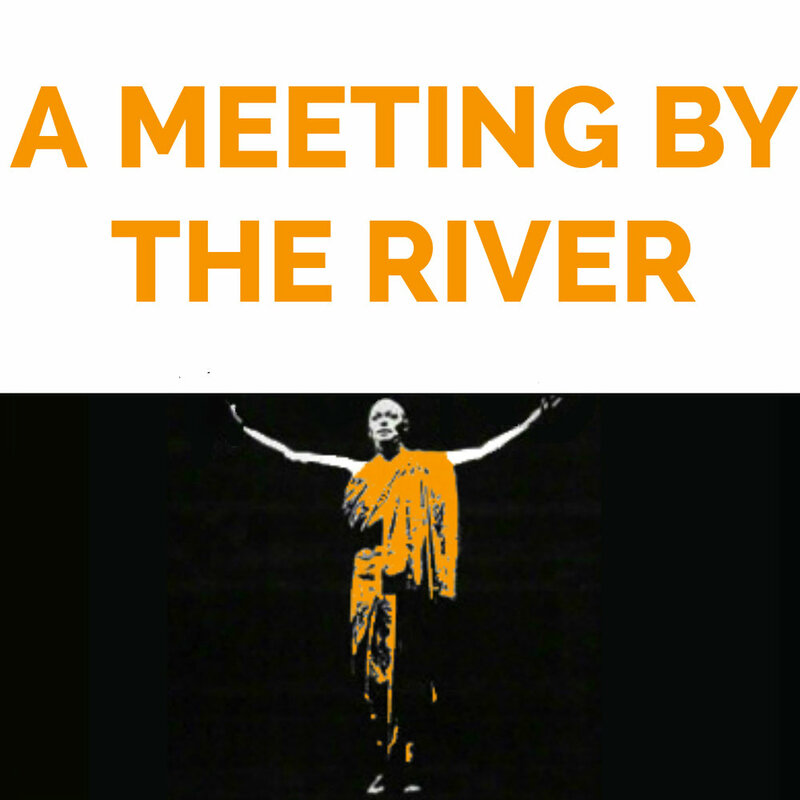 Adapted by Christopher Isherwood and Don Bachardy from Isherwood’s last novel, A Meeting by the River is a daring, ruthless, and joyfully comic meditation on the nature of love and the question of whether god exists. Dominic West, Kyle Soller, Penelope Wilton and Annabel Mullion star in this audio production. Playful sparring between the brothers deepens to rivalry and self-doubt. Patrick’s secret love life is exposed. Spiritual darkness closes around Oliver, and he calls upon the memory of his guru to show him a way forward. Dominic West, Kyle Soller, Penelope Wilton and Annabel Mullion star in this audio adaptation of Isherwood and Bachardy’s A Meeting by the River. Hear the love story of Christopher Isherwood and Don Bachardy, the men who wrote A Meeting by the River. Copyright Don Bachardy, Katherine Bucknell and The Animals Podcast 2017.